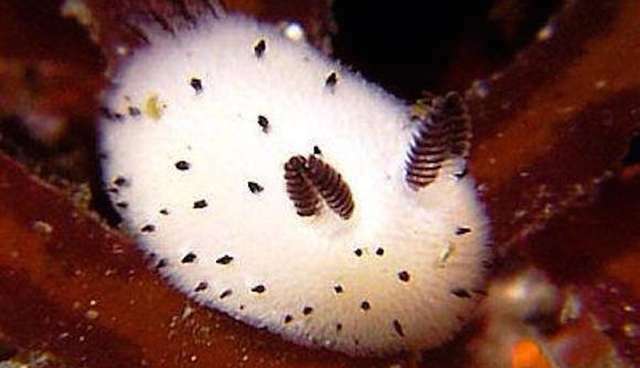 Real-life sea bunny - yes, they exist! So, in honor of these adorable sea bunny/slugs, you can now get your very own special Easter MG sea bunny Glaslug right now! Go claim your Mystery Gift from the main menu, then look for the deliveryman in any PokeMart. Be sure to save in front of the deliveryman if you want to soft-reset for your desired nature -- or the elusive shiny MG! BE SURE TO RUN YOUR PATCHER BEFORE CLAIMING THE MYSTERY GIFT TO SEE THE SPECIAL HOLIDAY SPRITE!! Hey! I have a bunch of Volchik, some of them have stats with 31 IV´s, if anyone want one, just tell me. Anyone has a male volchik with thunderstorm and hurricane? I´ve just started to play and I wanna know if someone could trade a Raptorch or any other pokemon, I do not care about lvl. or nature. If you have a piece of art you'd like to submit, post it in a reply here. If we like it, we'll add it to the game's credits! Hey everyone! I'm looking for the Cocaran Mystery Gift that had a 50% chance of being distributed! I have shinies and 5-6 perfect IV Pokemon for trade in exchange! Well that is certainly a glass cannon if there ever was one! To give you an idea of how frail Barand is, Adamant Life Orb Daikatuna does up to 40% with a resisted Aqua Jet, so every defensive option for Barand is out of the question. However not all is lost for the serpentine dragon as it has the highest Base Attack stat out of all the Dragon-types in Tandor, beating out Fafninter by 5 points. That alone wouldn't be enough to give it legitimate usage, though, and here comes Barand‘s real claim to fame: access to Tough Claws and a godly movepool to take advantage of. Seriously, the amount of diverse moves this Pokemon can use effectively is absurd and this makes Barand a real threat if you face one unprepared, as very few Pokémon can safely switch into it. Extreme Speed boosted by Tough Claws is the reason why an Adamant Choice Band set can work as it lets Barand pick on weakened, speedier threats. Dragon Claw or Outrage are your go-to STABs and must be chosen carefully as Outrage deals disgusting amounts of damage, but Dragon Claw is a much safer option. Poison Jab deals with Fairy-types such as Luxelong and Mega Syrentide; and Superpower with Steel-types like Lanthan, Metalynx or Gararewl. You can choose Knock Off over one of these for utility and if you are particularly worried about S51-A (there is a legitimate reason to be). Barand hits incredibly hard with Choice Band and if you are locked into the right move, it can 2HKO almost every Pokémon in the game bar physically defensive Laissure, physically defensive Tubareel and physically defensive Beliaddon. A Choice Scarf can let Barand work as a revenge killer, but there are other mons that do this job better as its Speed stat, although not too terrible, is somewhat slow compared to more prominent Revenge killers. Nonetheless it can prove effective, as it lets Barand use it's near perfect coverage to revenge kill its opponents instead of over relying on Extreme Speed, effectively threatening healthier targets such as Rock- and Steel-types that can tank an Extreme Speed fairly well, and the rarer Dramsama and Mismagius because of their lack of priority. Both Adamant and Jolly natures can work with Choice Scarf. Adamant allows Barand to hit harder in general and still outspeed almost the entire unboosted metagame bar Inflagetah, Mega Archilles and Mega Inflagetah, although it loses the ability to outspeed scarfed Pokémon with a base speed of 74 and above, which can create a problem with Xenoqueen, Lavent and Paraboom in this speed tier. Going Jolly has the benefit of outspeeding these threats, even when scarfed and speed tying with Chimaconda at worst as well as actually damage non-Mega Inflagetah with Extreme Speed which deals about 25% to Inflagetah's HP. A difficult set to pull off, but that can save you in some sticky situations. Dragon Dance combines the power of Choice Band and the speed of Choice Scarf into one set, which can spread destruction on the opposing team, but it comes with a few issues: by sacrificing one of its moveslots to Dragon Dance it loses the ability to check either Fairy- or Steel-types depending on the chosen coverage move. Extreme Speed is still a must-have to not loose the duell against any Priority user in the game and to smack weakened Inflagetah after a Dragon Dance. A notable change in the moveset is Drain Punch instead of Superpower due to Superpowers attack drop which would ruin your sweep and to restore the function of an unused Focus Sash should Barand survive an Attack naturally like Leaf Blade from defensive Metalynx. Poison Jab can be used instead of Drain Punch to damage bulky Fairy-types that would otherwise wall this set to no end. Dragon Claw can be chosen over Outrage, to not be choice locked into one move, which can be easily exploited but the damage difference is noticeable. Focus Sash is the best item to use on this set because of to Barand’s less than stellar defenses that can lead to many opposing Pokémon OHKOing it. Since Barand is affected by all entry Hazards, a Hazard removal from the likes of S51-A is desperately needed to take care of them before they break the Sash or slow Barand down. Since Barand is either walled by Fairy types or Steel types depending on the coverage move, it is advised to deal with them before you start to set up preferably in the late game. All in all, a more niche set, but it cuts the need of prediction, which can severely hinder its usage in the choiced sets. Barand’s nuclear version is sadly locked out of its HA Tough Claws and Extreme Speed, therefor making a Jolly nature and Choice Scarf necessary to be able to attack first in most cases. Barand could use as much speed as possible, given it's horrendous defensive typing that causes Barand to faint from almost any attack. While undoubtedly inferior to Tough Claws, Shed Skin can still be useful due to it's 30% chance to cure any status condition which may help against Flame Body or Static. Priority users will destroy this set given how frail even regular Barand is, and the other moves of Barand will suffer from the lack of Tough Claws, but no other Pokémon with Nuclear Slash (besides Urayne, but yeah that is Urayne) has quite the power and speed of Barand (Gliscor and Tanscure are faster but not quite as strong), giving it an effective niche as a physical Nuclear-type revenge killer. Granted special Nuclear-type revenge killers are vastly superior to physical ones with beasts as Nucleon and Nuclear Jerbolta, but it is worth mentioning, especially with the high critical hit rate of Nuclear Slash. Knock off is there to deal with S51-A and Superpower for the rest of the Steel-types. The last move should either be Fire Punch to maul Metalynx or Half Life to soften up walls like defensive Laissure, although most of the time you will spam Nuclear Slash. Note that, although four times effective against most Pokémon, Nuclear Slash is still only a move with a Base Power of 55 and it will fail to kill the prominent walls of the meta if they don't receive some chip damage before that. Also, since its niche is a Nuclear-type move, Steel types will have an easier time with it. S51-A does not appreciate being Knocked Off but it will still live 2 hits most of the time even if it's the special defensive set and will dispose of Barand with any of its moves. Because Barand can't switch into attacks at all, a slowturner like S51-A is a great partner for it as it can also keep Hazards off the field. Barand also appreciates Stealth Rock support as it allows it to force switches with Extreme Speed against weakened foes and with Stealth Rocks it can always OHKO Nucleon with Extreme Speed. Chainite is a great Partner because it can remove S51-A from enemy teams and can damage Steel types with Drain Punch. Nimflora is also a fantastic partner for Barand because it can lay down Sticky Webs and use Sleep Powder to give Barand the opportunity to set up. Keep your Fairy- and Steel-types healthy as they prevent Barand from spamming absolutely deadly Outrages and force prediction games. Revenge killing it is also a pretty safe way of dealing with Barand if it's not locked into Extreme Speed or doesn't have it in it's moveset. Sticky Web is a huge nuisance to Barand as it forces it to spam Extreme Speed to outspeed; and Stealth Rock or Spikes break its Focus Sash. Physically defensive Tubareel and physically defensive Laissure are the only mons that can safely switch into any of Barand’s moves and not be 2HKOed. Physically defensive Fafninter also survives one attack no matter what and can finish Barand with Ice Shard if it has taken a little bit of damage before. Trapping it with Chainite is also an option as Barand only needs to take little damage beforehand to be safely killed by a Shadow Sneak. If you choose Dragon Claw instead of Outrage, the Elemental Punches can be used to cover specific types, otherwise Outrage is superior in most cases. If you are particularly worried about Cocancer, Metalynx, Gyarados, Gliscor and Frosthra (although that's a stretch) these moves can still be used on an Outrage set. Iron Tail is an option if you want to maul Fairy-types even harder, but it's difficult to justify over Poison Jab, because of its less than stellar accuracy. Facade can be nice if Barand ends up being burned, but it's difficult to fit on sets. Another option on the Choice Banded set could be Focus Punch for an even stronger hit, but it's still difficult to justify over Superpower, since it can be used in succession unlike Focus Punch which will most likely fail if your opponent is playing somewhat decent. Another option (suggested by Dragonstrike) is to swap out Choice Band for Life Orb, to make you less dependent on prediction and since your bulk is almost non-existing anyways the recoil won't matter as much. I would recommend using Life Orb if you choose to use Dragon Claw instead of Outrage. Well it's obvious that Barand will never be the most consistent performer and will only have niche usage in all tiers since it's so frail, but it's surprisingly powerful for a Pokémon with a BST of 360. It's not a Pokémon you have to consider building against since you will almost never encounter one, but if you do you have to keep up your prediction game, as you will most likely have no switch-ins if it's the Choice Band set. Not really much to say, I'm just another person looking to complete their pokedex, and I don't want to spend another 60 hours completing another profile to trade for the punk twin I don't have. What I need is a Praseopunk just for the pokedex. Simple as that. I've got a Neopunk already in the GTS. My online ID is 092909. Thanks in advance! Seeing a little bit of discussion arise in the Nucleon thread, I felt encouraged to make this stat-based tiering guide of all fully evolved Pokemon in Uranium's Pokedex. Based only on base stats and ignoring typing, abilities, and movesets for each Pokemon, I have separated the fully evolved Pokemon in Uranium's Pokedex into 3 distinct tiers. I have also looked at Mega Evolutions separately and have separated them into 2 distinct tiers; the reason I treated Mega Evolutions separately was because they noticeably skewed the average stats in my calculations, making them more error-prone, and balancing their impact has proven to be too difficult, since the Mega Evolutions are also disadvantaged in that they can't be regularly switched in as part of a battle without risking initially taking damage in their base forms and they are also unable to hold any other items except for their Mega Stones. Hopefully, this can serve as a rough guide as to the viability of Pokemon in the Uranium Pokedex and reasonably discern strong metagame threats that can be built effectively in several unpredictable ways and weak Pokemon that usually get outclassed by other stronger Pokemon in the metagame in their roles and are limited in the ways they can effectively be built, making them too predictable and relatively easy to counter. The tiering below is based on stats calculations, admittedly with a little bit of subjectivity as to what makes certain stat builds stronger than others (asking myself how many underpowered stats on a Pokemon are required to balance out its overpowered stats, and evaluating the quality of the stat distribution on the Pokemon in ambiguous cases). 2) a balance in the number of high and low base stat, but containing a stat total within their most effective offensive and defensive niches that is unreasonably high compared to other Pokemon. Having said that, this is by no means a ban list for these Pokemon, but some of these could potentially be very worthy suspects for a ban depending on their typing and abilities (looking at you Yatagaryu, Sheer Force Subduction Lanthan, Fur Coat Fafninter, Sticky Web Seikamater, and Contrary Chimaconda; ...). Note: Based on stats alone, Nucleon would fit into this tier but it is obviously getting a quick-ban due to its 100% accurate spammable 90 BP nuclear type Atomizate boosted Hyper Voice, as discussed in several other threads; thus, it was excluded to reduce any confusion. I think I might have missed Barand and Sableye; however, in the off chance that Tier C does gain community interest in creating a comp scene around it, Barand and Sableyes would be probably be considered as jokes even here based on their stats. I guess what this tier is saying is that based on base stats alone, the less skilled player in making in-battle decisions using exclusively Pokemon in higher tiers will win noticeably more battles than the more skilled player in making in-battle decisions using exclusively Pokemon in this tier. The take home is, in general, Tier A > Tier B > Tier C when discussing regular Pokemon. Overall, these Megas do not contain any impressive stat builds and superficially, they don't seem to give enough of an "oomph" factor when they appear and are very outclassed by their counterparts in Tier A. These should not be taken seriously based on their stats alone. Firstly, I believe that the most popular metagame that would be played would be one that encourages the use of Pokemon from Regular Tier B as much as possible and discourages the use of Pokemon from Regular Tier C. This would optimize team-building diversity to the best ability possible. Seeing that the vast majority of Mega Evolutions exist in Tier A, it naturally follows that Mega Tier A should complement Regular Tier B, and that Mega Tier B should complement Regular Tier C.
- choose any regular Pokemon from Tier B or lower to fill in the rest of the team slots. - choose any regular Pokemon from Tier C to fill in the rest of the team slots. This tier could ideally allow people to experiment with any Pokemon I ranked too harshly low and boost their usage to be potentially viable in the more competitive format initially proposed. All in all, I do believe this is a good starting point that can help influence the initial usage statistics to create as healthy as possible of an early stage metagame. However, we shouldn't just stop there. One limitation of this guide is its failure to take into account Pokemon's abilities, typing, and movesets. I don't believe this limitation is too extreme though, since most of this will develop when people attempt to build their own personalized teams. Of course, Pokemon that have been brought up as suspects in other threads should be suspect tested (Yatagaryu, Inflagetah, Mega Syrentide, Lanthan, etc. ), but only when the time comes and only when usage stats become available and reliable for each Pokemon.